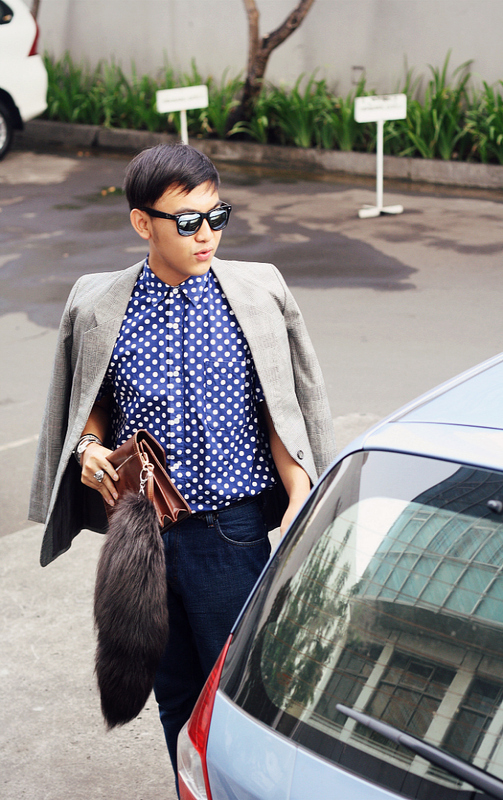 Home » FASHION BLOGGER INDONESIA » OUTFITS » CAN YOU DESCRIBE YOUR STYLE? 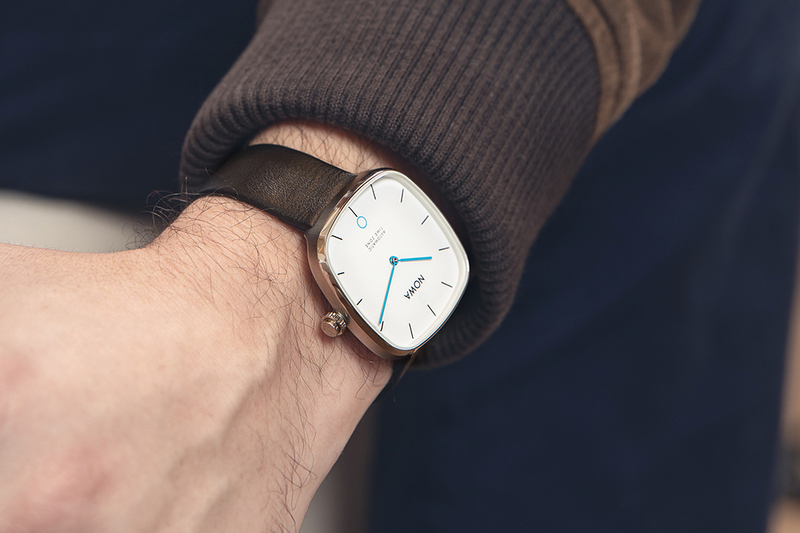 CAN YOU DESCRIBE YOUR STYLE? - I am not quite sure about this question, because just like fashion I want in dynamic rhythm too, you know lol and it will be very fun-excited if there are no boundaries like, unlimited access to newest collections every seasons from every designers. But those question is a FAQ, I dont event know exactly what is my style genre, but based on my style curator platform WhatIWear, I do love Sunglasses, Jacket, Shirt, and my frequent black velvet moccasin shoes that I made custom by SNEC Shoes. 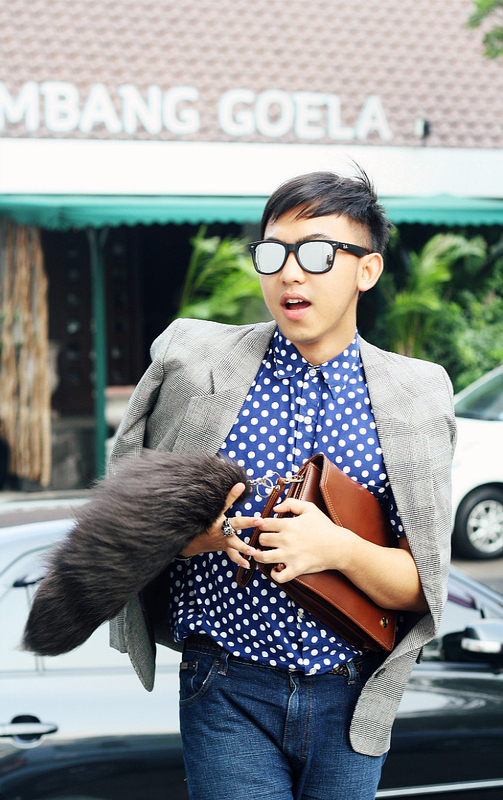 AMICA Indonesia once asked me about my style, Unconventional Dandy? ya maybe, but it still can not be ascertained as a my only style because the proccess is still running. I love vintage, modern, modern vintage, androginy, sartorial, free style, bohemian, rock, street, pop etc name it etc lol. I am not say that I'm the expert in style since I always attacked by the "I Have Nothing to Wear" virus all the time, you know very insecure for wearing the same clothes more than once, absolutely I was absent in one of Anna Dello Russo's Classes. But whatever it is, the outdoor, sunny day and wind is the perfect combinations for a blog outfit shoot. And now the question for you? Can you describe your style? and what do you think about my style, you know I need an input one or two. 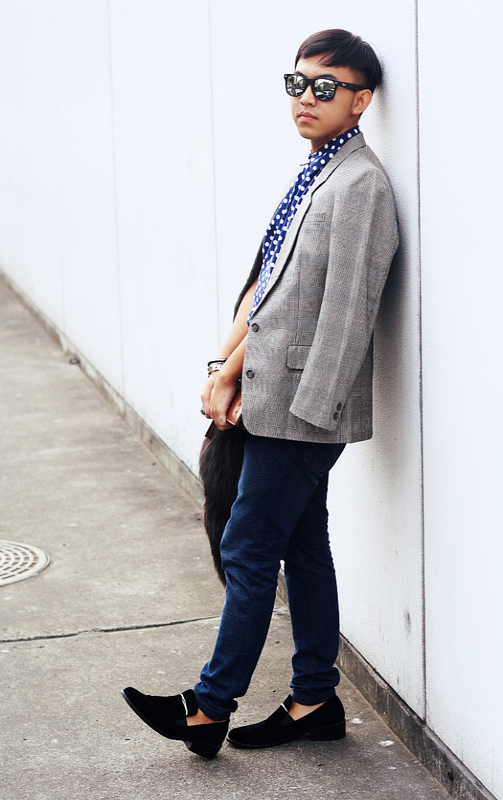 love the whole look and especially the blazer, u really have an amazing blog! You look perfect in this outfit! 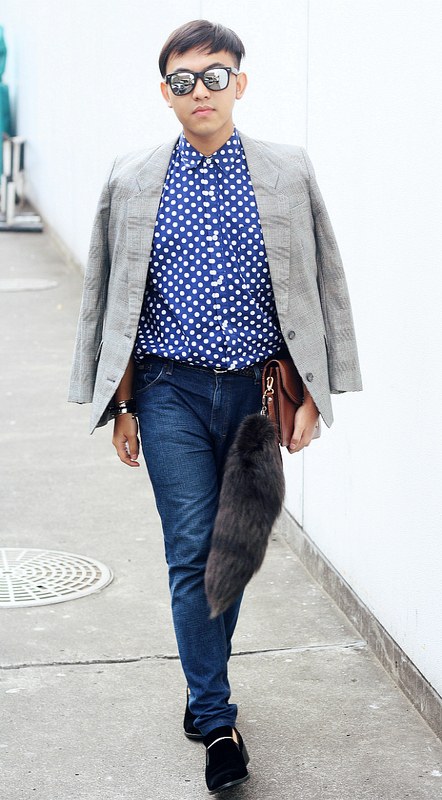 Nice pics, cool style, love your shoes and your polka dot shirt!